"hopefully the phone still works well enough you can call 911 for a waaambulance." I've made quite a habit of picking up unlocked 920s on Ebay/Craigslist in the $40 range. Test that a TelCel Sim works. I reset it, I add my email, sign into Windows Insider, do all the 8 updates, then move it to windows 10. Then I reset it again but I don't add any Microsoft account.. I select do that later, However. I change language to Spanish, country to Mexico, go through those updates. Note, at this point, I've not re-added a Microsoft account... That's done later by the new owner. I then send that phone down to Mexico as a gift to friends with instructions on how to get set it up and what apps to install. I've done it so many times I have a nice 1 page word document in Spanish that I print out and place with the phone. Cost me about $10usd to pay customs and ship it via a bus company. My friends go to the bus stations to claim them. Consumer electronics are so expensive in Mexico, that folks are delighted to get this phone. The LCD and Camera are better than any budget phone they'd be able to find in Mexico at $725mxn (about $40usd). As long as Microsoft keeps Windows Insider around, these phones should stay current for a bit longer. 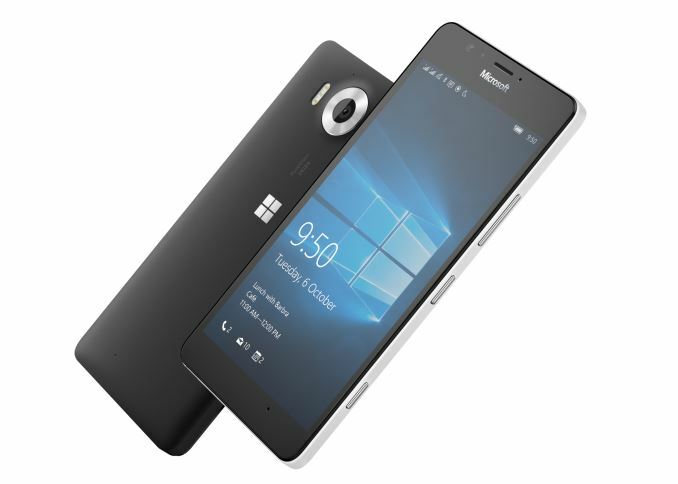 Seriously hope they reconsider the Lumia Icon. The 1520, 930, and 929, and basically all the same, except the 1520 has the 6" screen, and the Icon and 930 and essentially twin brothers. There's no reason the Icon should be dropped. It's got a Snapdragon 800, 2GB RAM, 1080P screen, and is otherwise just a Verizon version of the 930. I've seen they've said they're already reconsidering that phone. I hope they do. I just recently picked one up early in the year, because it was taking forever for the regualar 950 to show up in Canada. The Icon was, and still is, 95% of the 950, that I got for about a third of the price, at $250. I use it on Mobilicity in Canada, which is supports the proper HSPA+ bands. I pay $29/month + tax for unlimited talk/text/data. I'm not leaving anytime soon. But if they cut off the Icon, that's just a slap in the face to a one of the few people out there who has been a Windows Phone fanboy. I've been there since the Windows Phone 7 days (via an HTC HD2). I then loved my Lumia 920, and waited way too long for an appropriate upgrade. Finally I gave up on waiting on the 950, and grabbed an Icon. It's a FANTASTIC phone. But If the updates stop from here, I'll be pissed with Microsoft. You could say I should've seen this coming, with the HD2 sort-of being promised Windows Phone 7, but never got it (officially). The Lumia 920 being cut out was a stunner to me. I've ran the Insider Preview. By the end, the performance of the 920 was pretty damn good. It was release quality. I managed to get the Insider Preview installed on a Lumia 520. At first, the performance was nothing short of awful. But I kept the phone alive, and kept on letting it update. And then I tried it again recently. The performance was essentially what I rememember it being back on 8/8.1. They seemed to make major strides in improving the usability of 512MB phones. If Microsoft had said that we have a set of phones that are release quality right now, and we're ready to update them, and we've got another batch of phones that we want to continue to work on, I'd be ok with that. But they said there's no second batch of phones. Only the Icon seems to be under reconsideration. Microsoft fucked a small amount of people when it came from going 6-7. They REALLY fucked a lot of people when then went 7-8. And after constantly talking about how all previous Windows 8 phones would work with 10. they change that at the last possible second. And this is after I've seen MASSIVE improvements over the months through Insider Preview. The Icon I'm livid about, of course, because that's my current phone. But the 920 was my backup phone. It runs Windows Phone 10 just fine. The performance was just fine. This was a flagship phone. To just be kicked to the curb that like that, that's unacceptable. I hate iOS, I hate Android. I really hope they bring back support for the Icon. I think WPInternals will help the Lumia 920s of the world continue to live on. But it seems like Microsoft has officially given up. Which is a shame. Snapchat seems to be the only major app holdout right now. In Canada, it seems all the banks have apps available now. I use an obscure bank (President's Choice Financial), and even THEY have a a Windows Phone banking app now. There's not a single app that I want/need that I can't get. Even though I'm not a fitness band buy, I saw a great deal on the Xiaomai fitness band on Gearbest and bought one. Still waiting for it to to arrive. But there's no official app, but there is an unofficial one that was VERY well reviewed. Paid the $3 before it even arrived. Anyways, If the Icon is being dropped, I really don't know where I'm going from here. The 950 is overpriced from what you get. And do I really want to support Microsoft after what they just did?! For the fun of it. I did the Win10 upgrade on a spare 520 I had. The key was just to make sure very few apps were on the start screen, and very few of those use animated tiles. With that criteria, the 520 with Windows 10 is an acceptable phone. Never had Phone, Messaging, WhatsApp, Facebook Messenger, Camera hang up.... What more would you expect from a 3 year old $40 phone?